Home Low Carb Side Dishes Best Low Carb Side Dish Recipes! 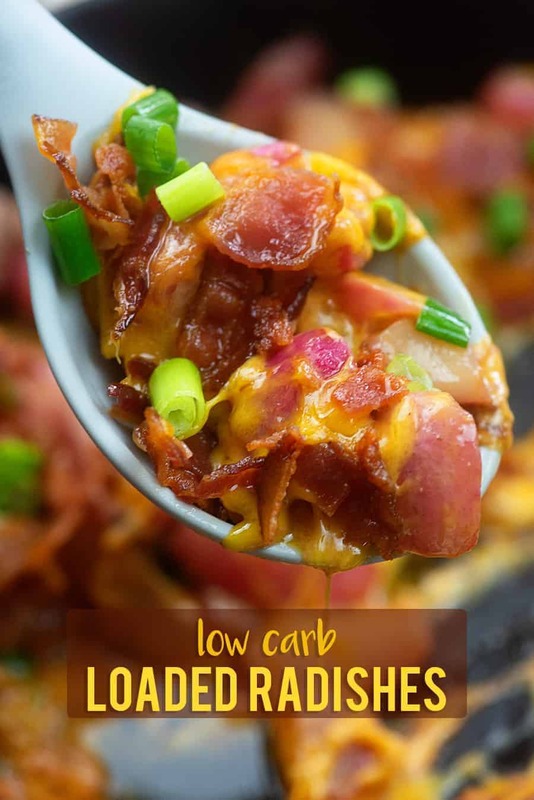 Low carb side dishes can get a little tricky for our family and I bet they do for yours as well! While I love plain steamed broccoli and a green salad, my kiddos get tired of me serving it up every night of the week. They want variety and it’s definitely true that lots of variety makes any way of eating a whole lot easier! 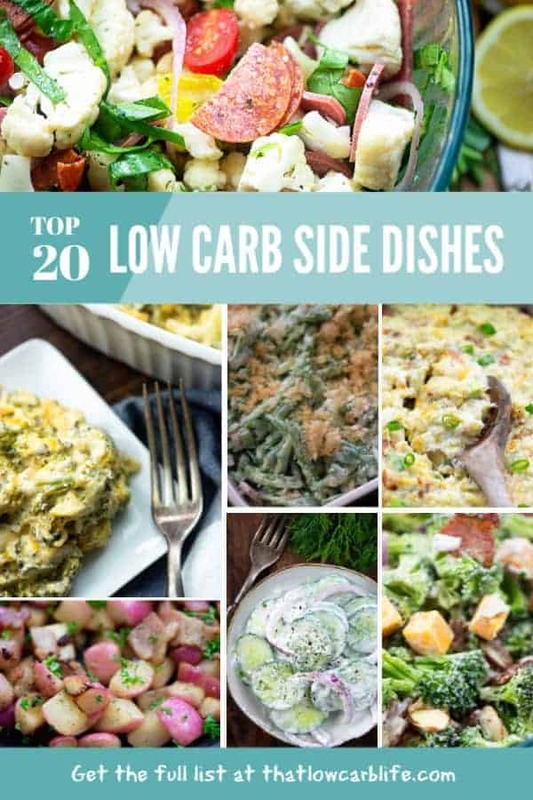 These low carb side dishes are favorites in my family, from the broccoli casserole to the Italian cauliflower salad. I’m happy because most are really simple to throw together, all of them are low carb, and here’s the kicker: My kids don’t even know they’re low carb! Sometimes the hardest part about eating a ‘special’ diet is feeding your family. Not so with these recipes! Keep reading to check out what we serve at dinner time! Pan Fried Radishes: So many people think they hate radishes, but my guess is that this is just because they’ve only eaten them raw! When you cook a radish, it loses a lot of it’s bite and actually tastes a lot like a potato! It’s not a perfect potato replacement, but it’s the closest I’ve found! 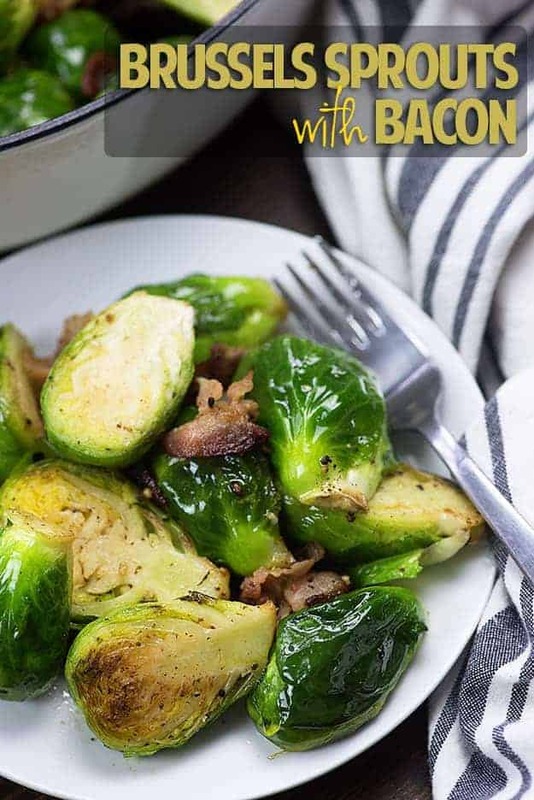 Brussels Sprouts with Bacon: Cooking Brussels sprouts in bacon makes them worthy of some love! Rather than boiling the sprouts, I just sautee them in the pan with the bacon so they don’t turn to mush and they end up with a great flavor. 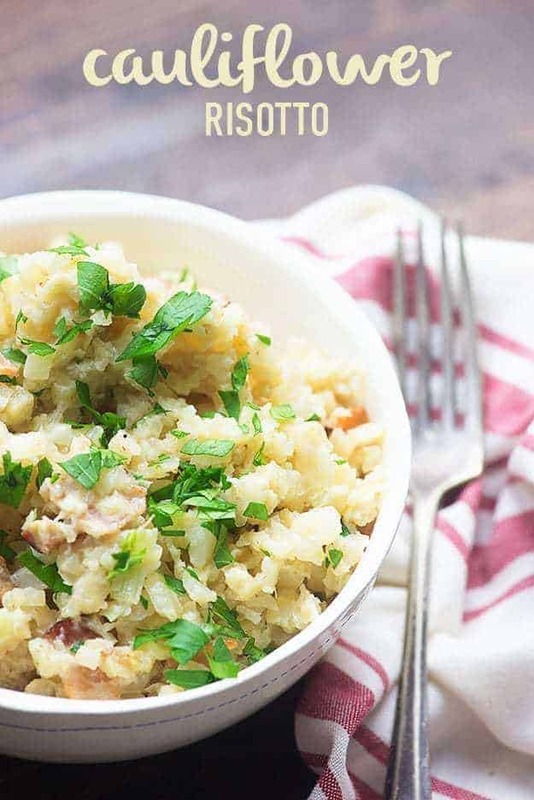 Cauliflower Risotto: Missing the creamy goodness of risotto? Not anymore! This cauliflower version is pure comfort food and it’s even simpler than traditional risotto. 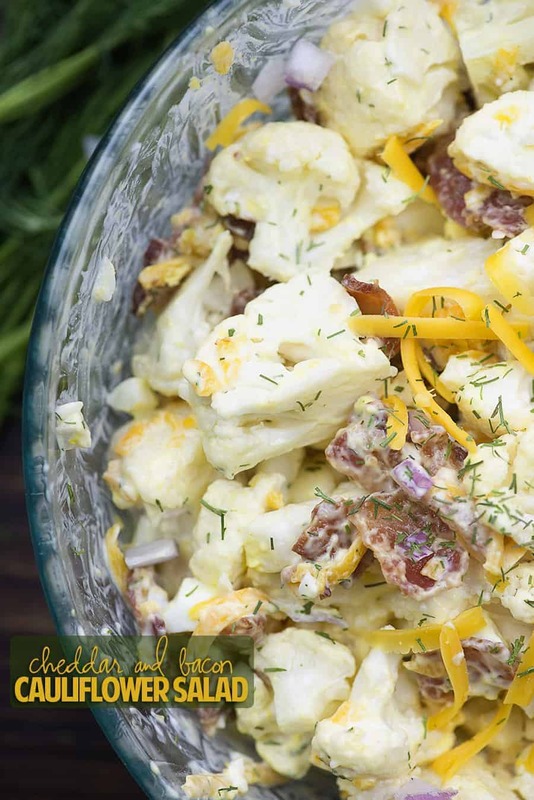 Cheddar Bacon Cauliflower Potato Salad: In the summer, potato salad is a requirement – unless, of course, you’re trying to eat a little healthier! 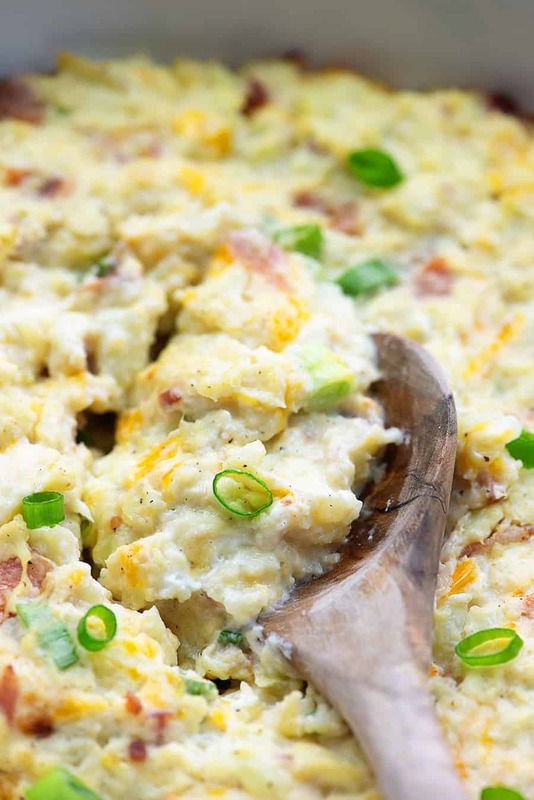 Cauliflower makes the perfect potato swap in this loaded salad! 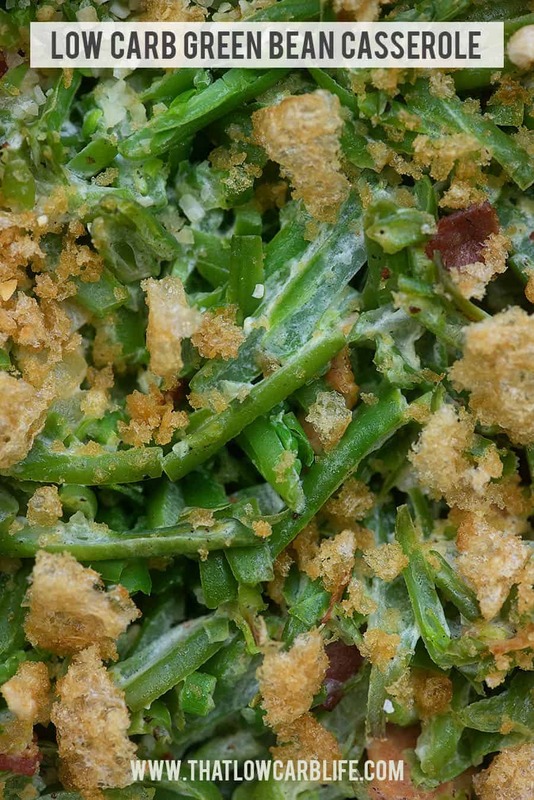 Healthy Green Bean Casserole: It’s not the holidays without green bean casserole, at least not in my house! This healthy version is made from scratch and it’s oh so good. It’s easy enough to serve any night of the week, too! 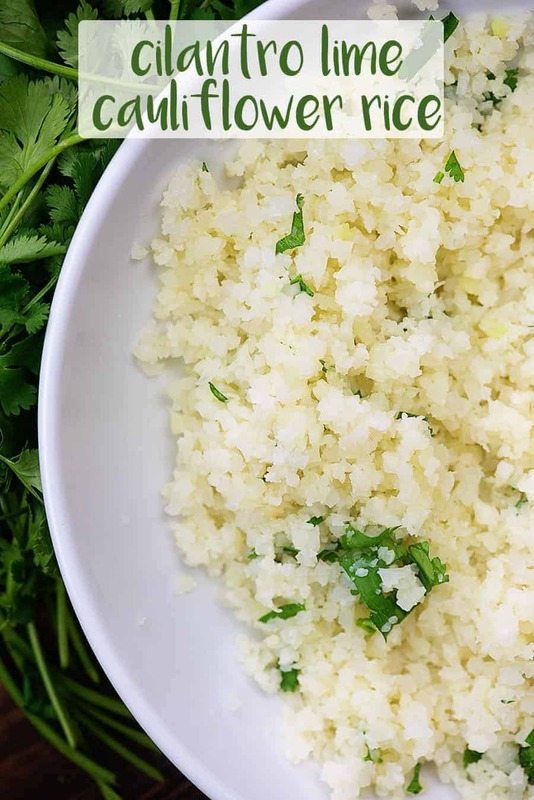 Cilantro Lime Cauliflower Rice: In my world, it’s a crime to have tacos without a side of this cilantro lime cauliflower rice! Stuff it right inside your lettuce wrapped taco or use it to make a killer burrito bowl. 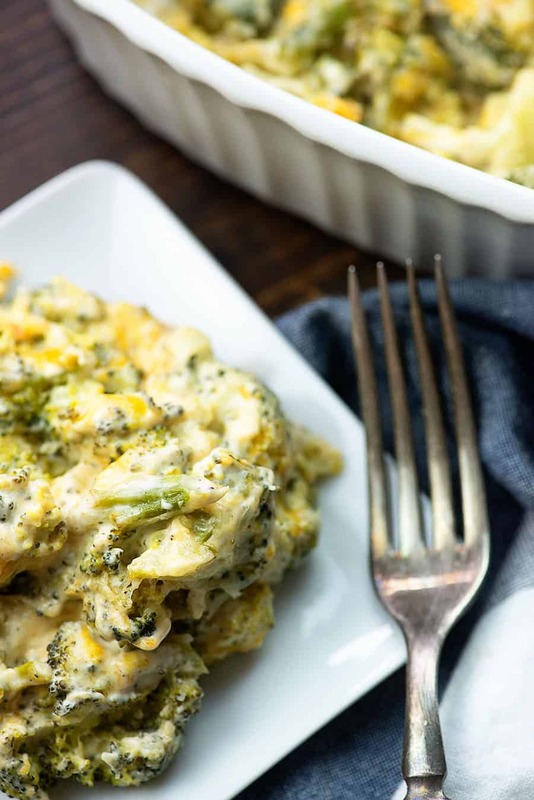 Broccoli Casserole: This one is so cheesy and decadent that even your kids will devour their broccoli. Plus, all that fat makes it perfect for keto. 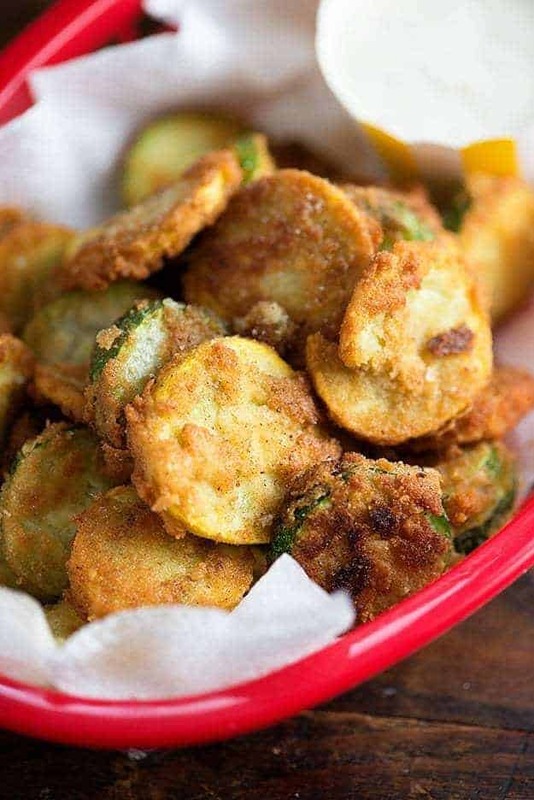 Low Carb Fried Zucchini: If you’re craving fried food, these zucchini slices are the way to go! I can never seem to make enough – my kids eat them all before I get them to the table. 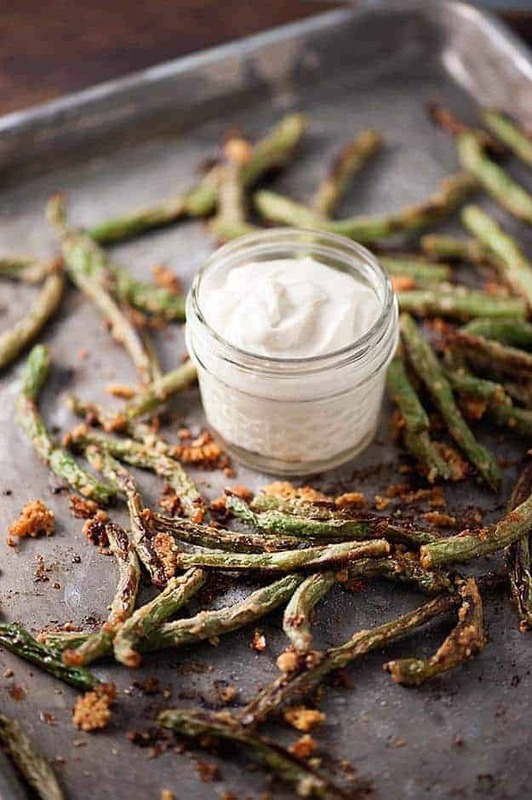 Roasted Green Beans: These green beans get tossed in a little Parmesan before roasting, so they get a bit crunchy on the outside. The creamy dipping sauce makes them even more fun! 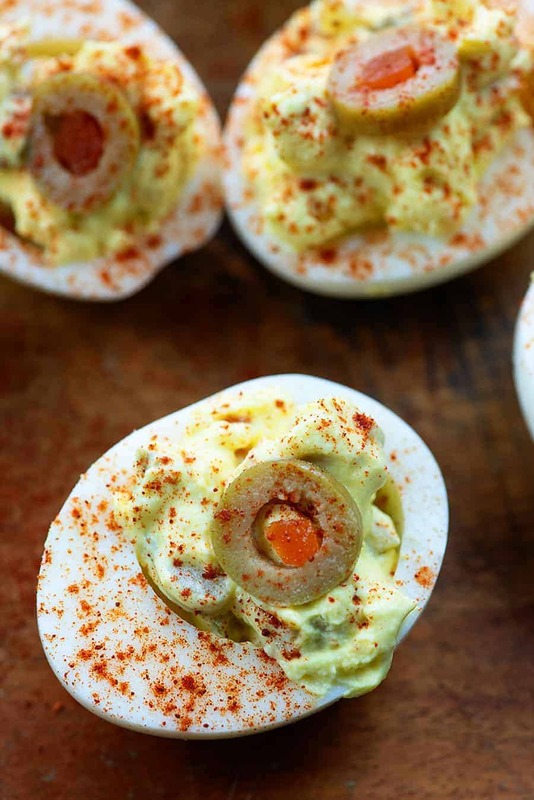 Green Olive Deviled Eggs: People seem to either love olives or hate them, but if you’re in the ‘love’ group then you must try these eggs! Full of green olive goodness. Loaded Radishes: Sometimes I get a craving for fries covered in cheese, bacon, and ranch. 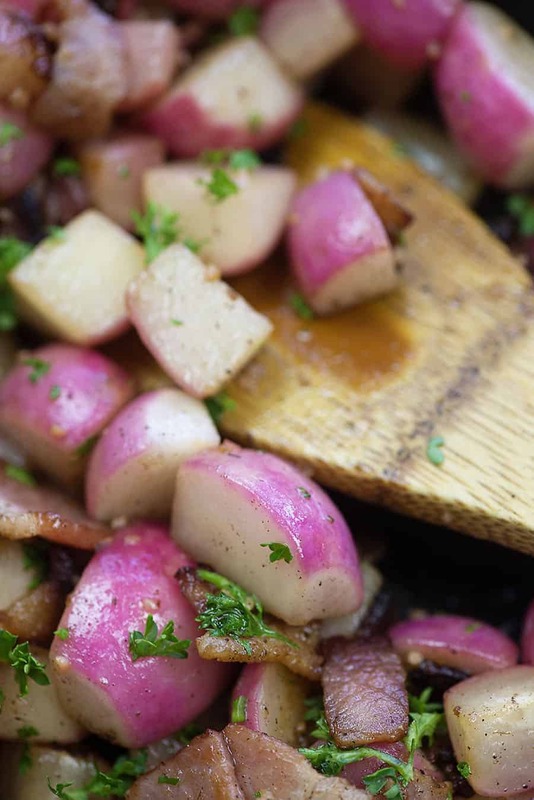 These loaded radishes satisfy that craving every time! 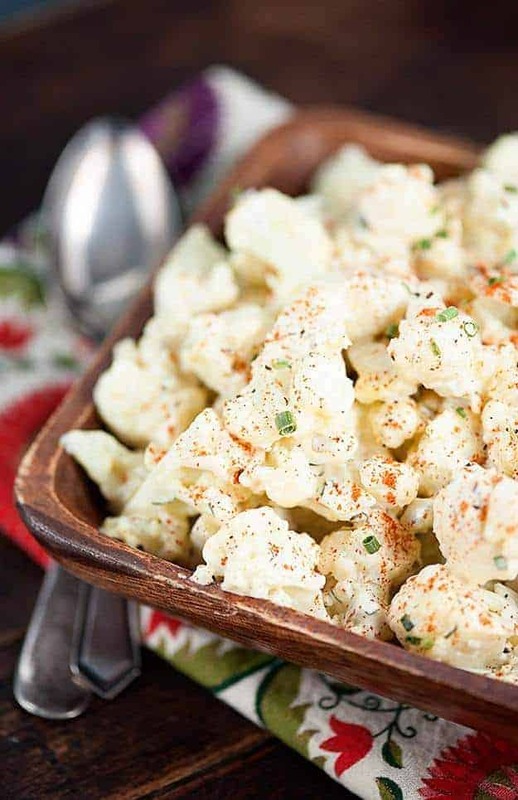 Cauliflower Potato Salad: If you miss that classic potato salad, you’ll fulfill your craving with this faux-tato version! 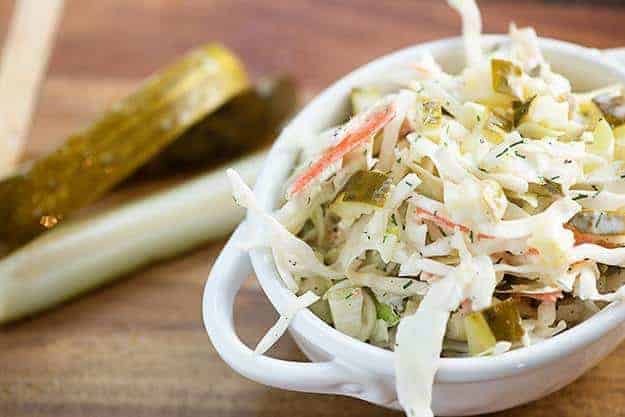 Dill Pickle Slaw: I could eat an entire jar of pickles in one sitting, which makes this coleslaw perfect for me! Loaded with chunks of dill pickles! Serve it over my pulled pork. 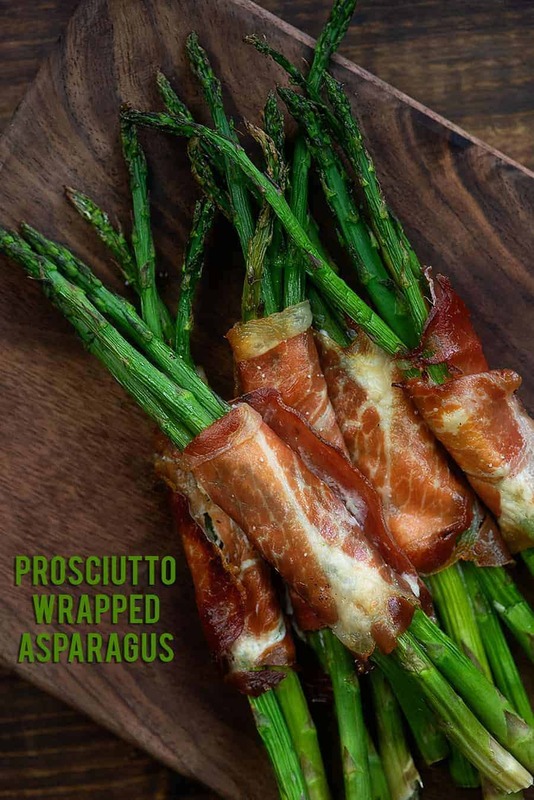 Prosciutto Wrapped Asparagus: I’m not usually the biggest asparagus fan, but wrap it up in some prosciutto with a little smear of cream cheese and count me in! 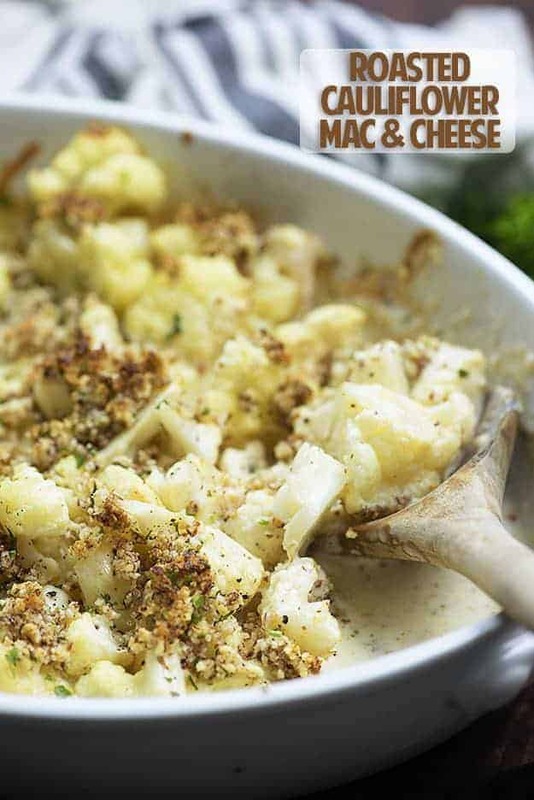 Cauliflower Mac and Cheese: My kids love this low carb version of one of their favorite sides! 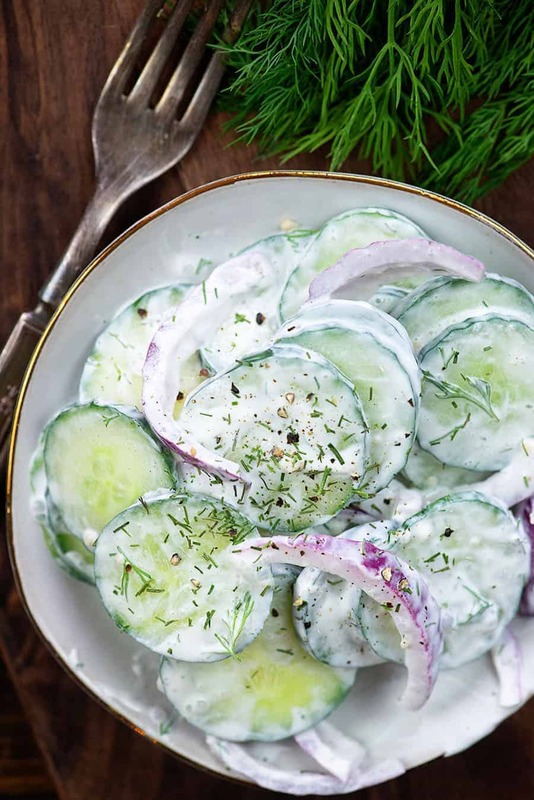 German Cucumber Salad: I make this just about every week! It has minimal hands on time and it goes with everything! 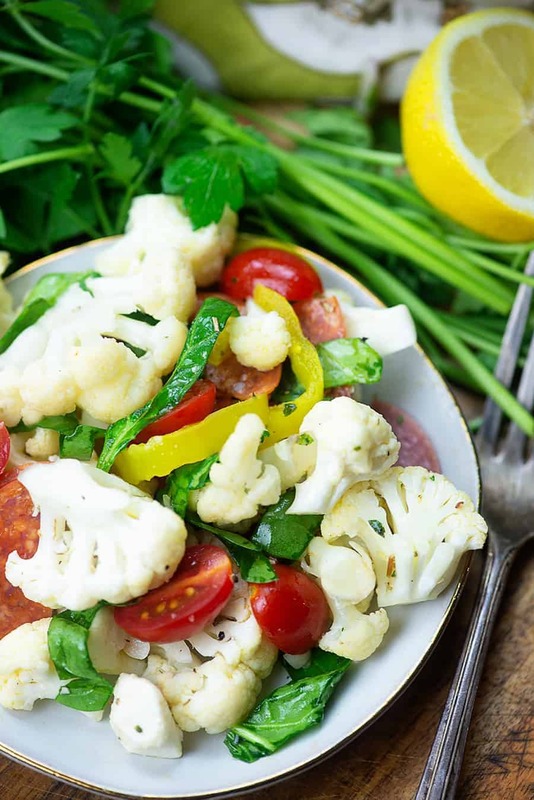 Italian Cauliflower Salad: My favorite pasta salad is loaded with veggies and cured meats and I’ve made it low carb by swapping in cauliflower for pasta. 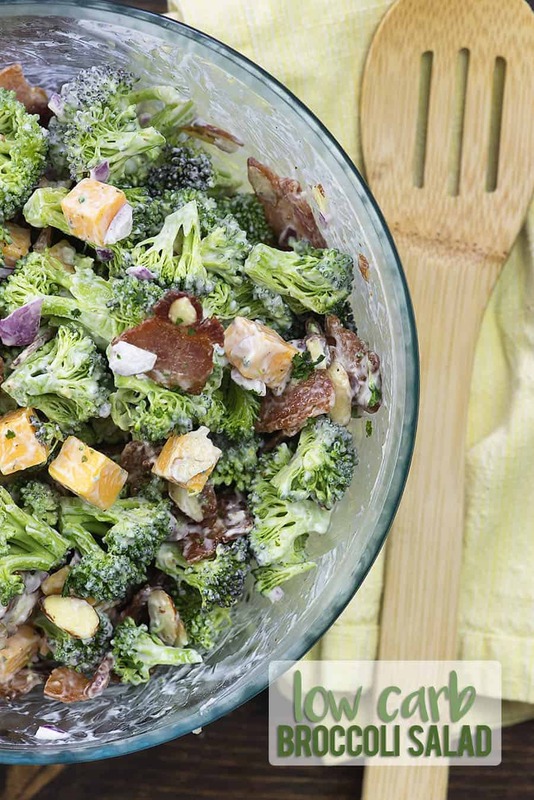 The homemade dressing takes it over the top! 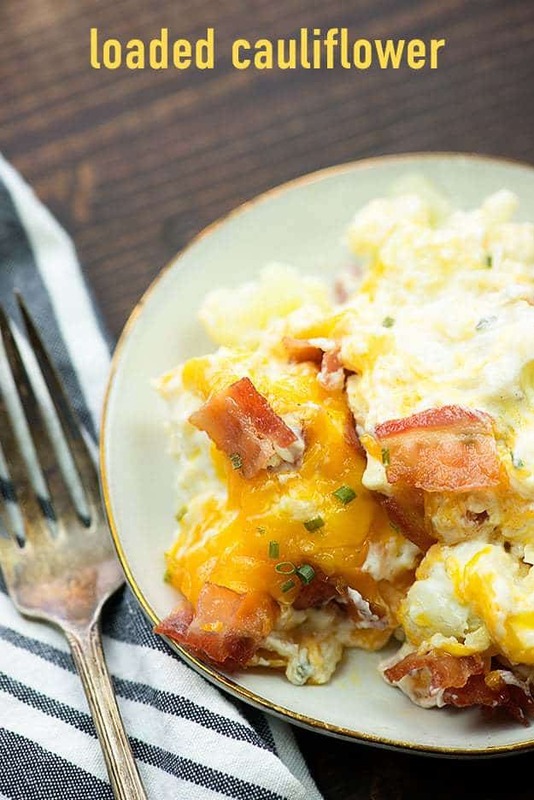 Loaded Cauliflower: This is basically pure comfort food! I love this because it’s simple and my kids love it because it’s delicious. Everything sounds great. Can’t wait to try them. I also do a tomato onion cilantro salad. I leave it overnight so the onion can work it magic. I have all of these on my phone. Irs a great site. I have to eat healthy and this is perfect for me.